Glory be to God who created all creatures equal in relation to Him. Everybody is His servant and carries His Divine secret, the secret of creation and manifestation. And every creature enjoys a particular aspect and a special relationship with God the Real (al-Haqq) that no one else shares and without a third coming between. The source and evidence of this special aspect coincide with the moment of creation, the moment when the will of the Real decided to create this creature, and so he becomes. Muhyiddin Ibn 'Arabi makes us understand the possibility of establishing this particular creature-creator relationship by using geometric symbolism. He chooses the design of the circle and elaborates on the relationship between its centre and every point on the circumference. In a circle each radiation emitted from the centre is connected to a corresponding point on the circumference. Thus, in our sensible world there is the possibility of the One in essence coinciding with many different numbers without the One becoming multiple or the relations becoming confused. If one manages to eliminate the obstacles of separation, one will be united and cross from the shadows, illusions and assumptions to substance, action and influence. One crosses from being for oneself, with one's limited abilities, to being for God with an opening to unlimited and unexpected abilities that arise as a result of this new state. Ibn 'Arabi focuses on the words 'walî' and 'li' in order to establish a comparison. He says that the significance of 'walî' is present in the word 'li', meaning 'for me or mine'. The walî is the one who is selected by God to be for Him. Ibn 'Arabi remarks on what was said in the holy Hadith: 'I shall declare war on whoever makes an enemy of My (lî) walî.' The Hadith did not say: 'I shall declare war on whoever makes an enemy of the walî.' It included the word 'li' (My) to emphasize that this human was selected by God to be from among His chosen ones, from among those on whom He bestows His care and friendship. Consequently, this position brings privileges and requires special efforts and endeavours. 1. The way of invocation, explained in the study 'Invocation and Illumination'. 2. The way of 'correspondence of attributes' based on changing the states of the self and its attributes, starting from conduct (sulûk). 3. The way of following the Prophet, peace be upon him and imitating his states, his sayings and his works, which leads to an opening into his world and his inheritance. Ibn 'Arabi divides the Divine bestowal into two major parts: reward and gift. The reward follows positive work whereas the gift is a pure Divine giving without any known reason. ..the actor, through physical effort and self-exertion, will inevitably receive from these actions an unveiling, which he calls the unveiling due to exertion. Once the souls are purified from the sadness of preoccupation with habit and are elevated above their physical condition, they become associated with their appropriate world, learn what the high spirits know from the knowledge of the Divine Kingdom and its secrets, and the meanings of the world are inscribed upon them. (Then) Ibn 'Arabi instructs the seeking servants on how to relate the degree of their opening to the degree of their state. He teaches them the appropriate relationship between the opening and the state. He tells them to beware if the opening is found to be equal to the state because the world is not a place of recompense, but if the opening gives refinement and elevation then it is through the Divine care for His servant and is not deception. These two positions make it clear that Ibn 'Arabi respects the law of causality in the action of the actors since for every action there is a result. At the same time he has not restricted the Divine bestowal to a law that governs it, which is the law of justice and recompense, but has opened an unlimited door suitable to the Divine side and cleared a place for graciousness and gifts originating from God for those whom He selects from amongst his servants. Will and Spiritual Aspiration (himma): The Sufis considered that the essence of the human being is the will (irâda). The human being wills and his value is the strength of this will. The strength of this will results from its sincerity and the purity of its facing, its collectedness, and its focusing on a specific matter. The one who arrives is tried again and again in order to test the sincerity of his will and the strength of its facing towards God and not towards any kind of bestowal. Veracity of facing brings about the reunion. 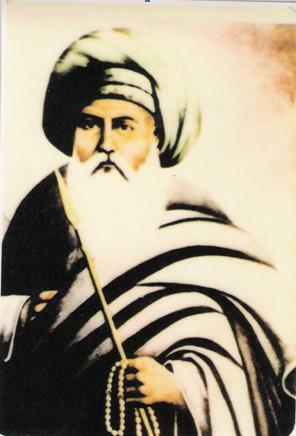 The Sufis highlighted the term 'himma', meaning spiritual aspiration. Himma is an active force of the Greatest Name of God (Man). Ibn 'Arabi emphasized that the himma is a pure force in the human being and is found in the origin of his creation and nature, or else it is acquired later. From the point of view of it being a force, it is capable of attachment and is therefore attached in accordance with the will of its owner. If one attaches one's himma to the world, one achieves riches and position; if one attaches it to worship, one achieves stations and inspirations; and if it belongs to God, praise be to Him, all attachments fall away and the aspiration becomes one. This is the action of the himma in the arena of its attachment, which shows the importance of relating the himma to the will on the one hand and the will being sincere in its facing to God on the other. He who has no spiritual aspiration or sincere will in seeking God in gratitude or in love cannot have an ambition to follow the path of Sufi walâya. A Great Sufi Saint Al-Sultan al-Dandarawi divides the walâya into two: the walâya of a walî of whom God takes charge (tawalî) and the walâya of a walî who is put in charge by God (tawliya). This makes it clear that Ibn 'Arabi also viewed the walâya as of two kinds: the walâya where God takes charge of the servant whom He provides with an attribute in which He stations the servant, and the walâya of tawliya where God makes the servant His vicegerent and prescribes the way for him after He has given into his hand rule, command and prohibition. Ibn 'Arabi establishes two ways for the walâya, one higher than the other. The first is the way of conduct and the second, higher one, is the way of witnessing. The Way of Conduct, Human Action: In this path of human action the role of human endeavour in gaining the stations of Proximity is evident. Here every station is an independent world that the seeker enters as a result of undertaking a specific action. Divine prescription (taklîf) is divided between command and prohibition. It is for this that every command which issues from the Divine side to creation benefits the one addressed, as when the command is fulfilled the station is gained. Ibn 'Arabi says 'Everything commanded is a station to be gained.' We can take an example from the Futûhât where the Great Shaykh speaks of the station of devoutness. In His Qur'an God has commanded His servants to be devout. Therefore devoutness becomes a station for the servant, but the rule of devoutness in the human being is divided into two because the Divine command for devoutness is divided into two. One part of the command is to revere God as He deserves and the other part is to revere Him according to ability, and so on in every station. Therefore, one can enter the presence of Proximity through the endeavour to fulfil a Divine command. Therefore, human action, transformed through Divine command, is one of the ways to gain the walâya of God. .. these friends of God who have arrived through actions are the carriers of the Divine prescriptive command and the guardians of its execution. There is no time on earth devoid of people whom God chooses to be His friends. Each executes a Divine command directed towards the people, because no command issuing from the Real remains without effect. The men of rank are the friends who carry out the prescriptive command. The Way of Witnessing: Refraining from Action: It is as if man, when he refrains from action, returns to his reality, in which he becomes realized, and becomes conscious of it. And whoever is conscious of his reality without a doubt enters the whole in its integrated harmony, where every reality forms a part carrying the whole. How does Ibn 'Arabi justify this path, built on refraining from action, logically and according to religious law? How does he justify man going outside the Divine command that he considered the entry to the walâya in the last section? If the repentant one is a walî, how can the one who refrains from repentance be a walî, and so on in every station? We start with a simple text that shows the divergence of the path, according to Ibn 'Arabi, into two, the second of which is higher than the first. He says about seclusion that its origin in law is from the holy Hadith: 'He who remembers Me in himself, I remember him in Myself', which is the highest station. He then goes on to contradict this by saying that seclusion is only appropriate for the veiled one. For the people of unveiling, seclusion is never appropriate because they witness the high spirits and the spirits of fire, and see the creation being eloquent. Unveiling forbids seclusion because the servant, when he is unveiled, knows that he is not in seclusion. The Divine Names the First and the Hidden request seclusion, while the Last and the Manifest request refraining from seclusion, because the Real is the Manifest in the essences of the world and there is no other than He. He says about abstinence that it is one of the stations that accompanies the servant as long as there has been no unveiling. If the veil is lifted from the essence of his heart, he stops abstaining and must not abstain. According to what he says, if you see the Real you do not abstain because God does not abstain in creation. One cannot assume the character traits of God except through God, so which character traits do you assume in abstinence? As for wakefulness and refraining from it, the station of wakefulness is called the station of self-subsistence and that wakefulness is one of the four supports upon which the dwelling of the substitutes (abdâl) is based: wakefulness, hunger, silence and solitude. The ultimate one stationed in this station is the Pole of the time (who is 'awake to preserve the creation') and in spite of the height of the station of wakefulness, Ibn 'Arabi makes sleep higher than it. He says that sleep is a state which transports the servant from witnessing in the world of the senses to witnessing in the in-between world (barzakh) that is the presence of meanings. This is a more perfect world because it is the origin of the world; it has real existence and rules in all matters. .. these friends of God who have arrived through the way of unveiling are in a manner of speaking the carriers of the Divine creative command, the carriers of the effects of the Divine Names that require manifestation in creation. There is no time on earth devoid of people who each carry the effect of a Divine Name (the servant of the Gracious, the servant of the Forgiver, the servant of the Avenger), such that no Name remains without authority. ... (the) two paths for the walâya (sainthood): the path of action and the path of witnessing. The end of both is almost the same. According to Ibn 'Arabi the path of action leads the seeker to unification (tawhîd) and the path of witnessing begins with unification. .. Walaya (sainthood) denotes annihilation with respect to carnal selfhood and egoism in favor of awareness of being under the dominion of the All-Living, Self-Subsistent One and of the need to acquire nearness to the Necessarily Existent Being. Travelers on the way to God who has attained this level, having given themselves up to the direction of God, are favored with self-possession, and live in nearness to God. The first step in sainthood is indicated in the verse (2:257): God is He Who loves, guards and directs those who believe; He has led them out of all kinds of (intellectual, spiritual, social, economic and political) darkness into the light, and keeps them firm therein; and also in Know well that the confidants (saintly servants) of God-there will be no reason for them to fear (both in this world and the next, for they shall always find My help and support with them), nor shall they grieve (10:62). 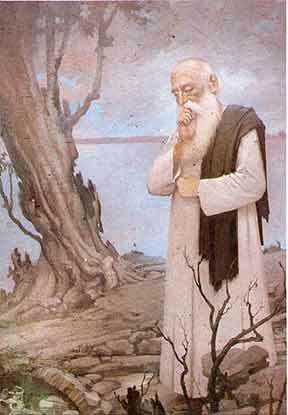 One who has been favored with sainthood is called a waliyy (saint). Waliyy is one of the Names of God Almighty. A saint on whom this Name is placed and who has become a polished mirror in which this Name is reflected is considered as having been favored with "self-annihilation in God" and "subsistence with Him." Nevertheless, this favor can never make a saint indifferent to the noble leader, upon him be peace and the blessings of God. On the contrary, whatever rank a person has attained on the way to God, one of the most blessed and illuminating sources for the confidants of God, the Truth, is the person of Muhammad, upon him be peace and blessings, who is the sun of Prophethood and the pure source of truth; he is the one they should follow strictly. 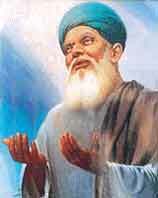 Moreover, he is the first among those sources that are the means of guidance attainment of sainthood for people. In several verses, the Qur'an stresses exactly this point, bringing our attention to that source of enlightenment and that mine of truth. For example (3:31): (O Messenger,) say (to them): "If you indeed love God, then follow me, so that God may love you and forgive you your sins." The saintly scholars have always dwelt upon two important dimensions of sainthood and consider them as two parts of a single unit: An initiate's scrupulous observance of God's commandments, and in return, God's taking him/her under His special care and protection. Sainthood, in the words of Bayazid al-Bistami, is not to allow any desire to be known by others, despite one's deep and continuous worship and obedience to God and one's extraordinary care in fulfilling other duties of servanthood. According to Abu Sa'id al-Kharraz, God opens the door slightly to one qualified for sainthood by enabling regular mention of Him and recitation of His Names. When the initiate begins to take pleasure in mentioning Him or in the recitation of His Names, the One Mentioned leads him or her by the hand to the summit of nearness to Him. Then, He clothes him or her in the bejeweled robe of His close friendship according to the degree of the person's loyalty and faithfulness. O Originator of the heavens and the earth! and join me with the holy. * The word Nirvana which originates from the Pali word Nibban means "to blow off", "to cause something to efface" is used here for the arabic term Tawaffani which literally translates as 'to cause me to die'.
. Does Quran talks about friendship with God?